My husband and I are somewhat creatures of habit. We’ve been camping for a few years, but mostly tend to stay on the same sites every time. 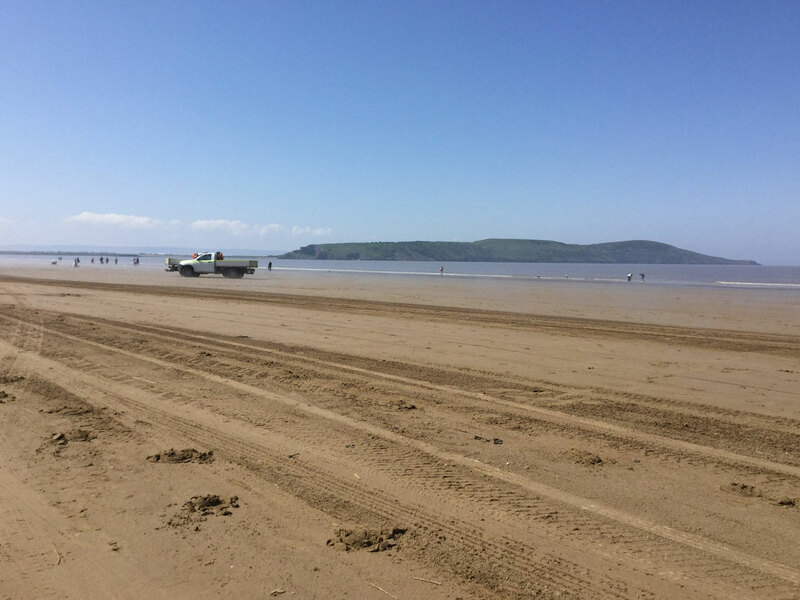 However, having only visited our ‘other home’ in West Wales a few weeks ago, and finding our favourite sites in Cheltenham all fully booked, we were somewhat stumped for where to go this bank holiday weekend. Every site we called was either full, only accepting three night stays or wanted a second mortgage to pitch our Outwell Glenwood 600 with Awning. 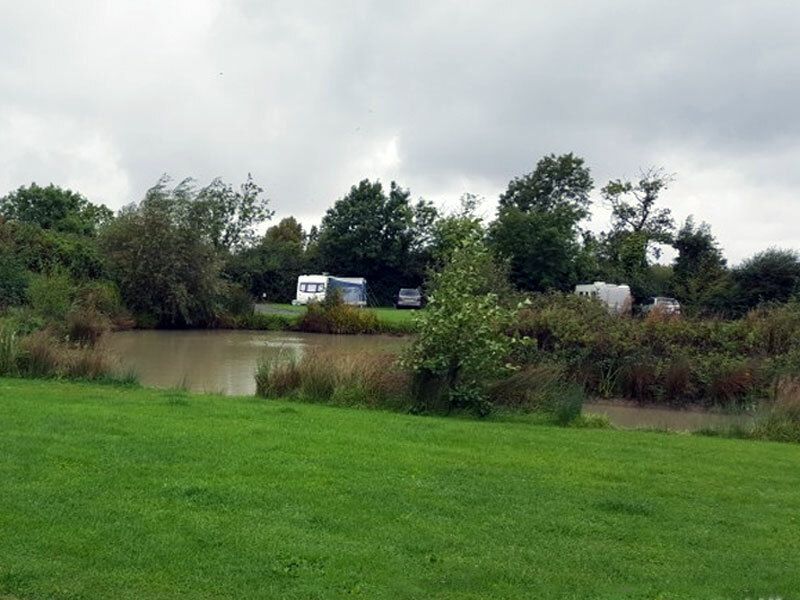 All pitches have a lake view – and fishermen are welcome! 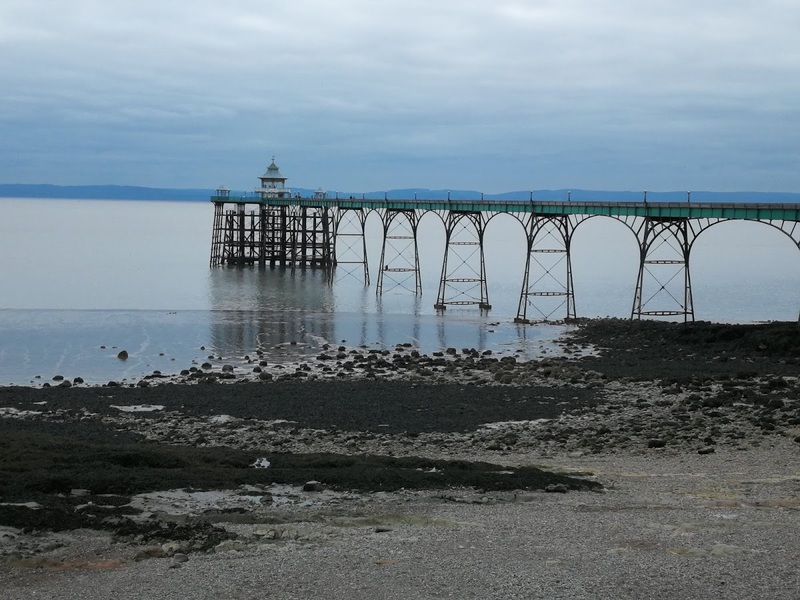 After a desperate pitch-hunt for two bank holiday nights, the super-friendly owner, Alice, answered our call at 9pm and delighted us with the news that Cranmoor Campsite, on the outskirts of Clevedon in Somerset, had pitches available, no minimum stay and priced at just £15 per night including electric. Usually when things sounds too good to be true, the reality is a rude awakening. Not here. I can honestly say our trip was nothing short of fantastic and I think we just found our new favourite site! 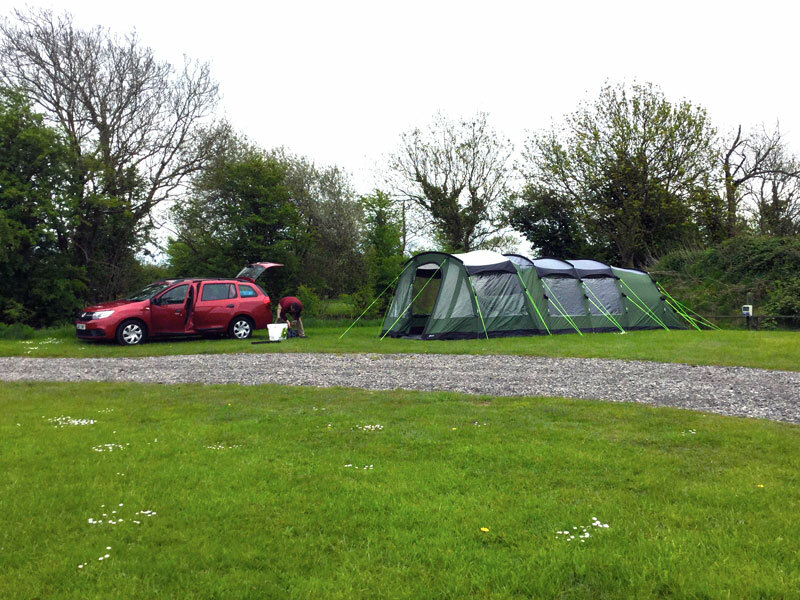 The campsite was spotlessly clean, grass was manicured to perfection and is very convenient to the M5. There was only one shower, one washroom and one toilet, but with so few units, many being caravans, nobody had to wait to use the facilities – and they were kept immaculate. The 12 pitches are generous here anyway, but knowing our tent with awning was a long unit (over 9m), Alice arranged for us to have the largest pitch on the site, which was huge. The site was pretty full, as you’d expect for a bank holiday, but it didn’t feel at all crowded, everyone had plenty of space, and the fishing lake in the middle of the campsite gave a feeling of serenity and tranquility. In fact, as we watched some of our fellow campers pitch chairs by the bank and lower their rods, as parents walked their children around the lake, watching them delight in seeing the ducks and sheep in the next field, this was definitely the relaxing break we needed. I’d also add for fellow techies, between us we cover EE, Three and Vodafone – and got a good signal on all of them! Despite being very close to Clifton, with it’s pretty pier and beach, and being just one motorway junction from the bank holiday madness of Weston Super Mare, this idyllic little site felt like a tranquil oasis and we would have been equally happy to sit in the sunshine and watch our fellow friendly campers and the wildlife all day long – but we took a few trips out to make the most of our short break… although Alice is a really interesting host and we thoroughly enjoyed chatting with her too! As it was, two nights did not feel anywhere near enough. There is so much in the area, we’ll definitely stay longer than 2 nights next time. There’s all manner of attractions within a short drive, from Bristol Zoo and the Clifton Suspension Bridge to Wookey Hole and Cheddar Gorge, (or the Helicopter Museum which my husband is itching to visit), there is so much to do here, it’s hard to believe we were only an hour from home. 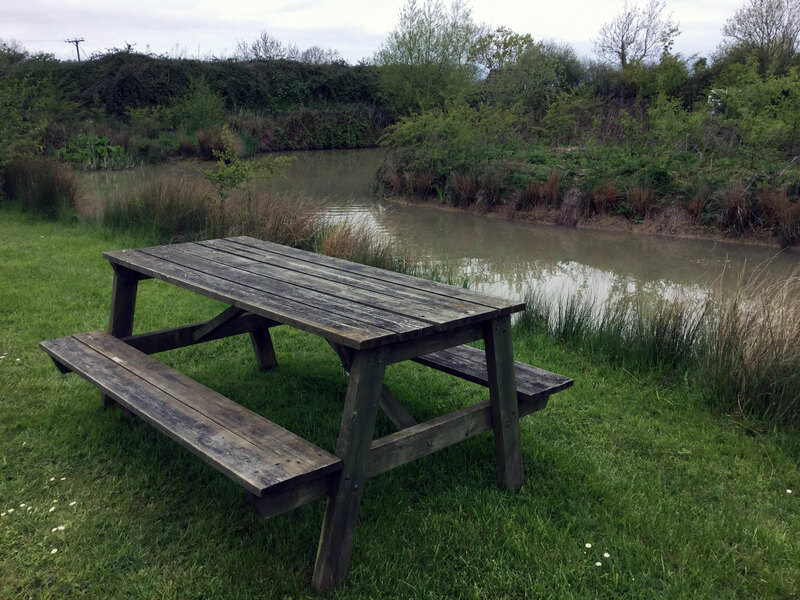 Sometimes, the best places are those you stumble upon by accident – but our next visit to this hidden Somerset Campsite will definitely be on purpose!